Written By: James Ivory, Andre Amican (based on the novel by). Performances, dialogue, set designs, cinematography and Sufjan Stevens' Songs. Films competing in awards season shows such as Golden Globes usually are the ones being either raved and sometimes come off as overhyped but these shows, for better or for worse but it is celebrating movies that are a game-changer in compelling, profound storytelling and innovative filmmaking; Call Me By Your Name for example. 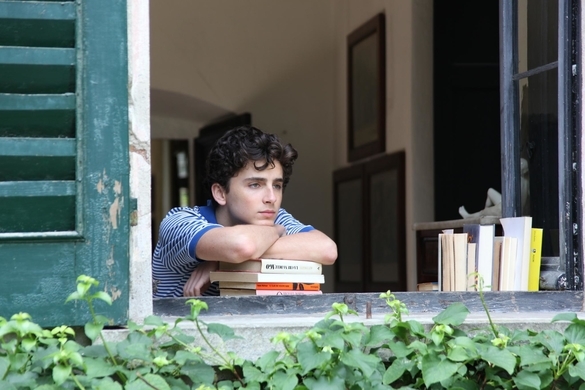 Based from the novel by Andre Amican of the same name, Call Me By Your name follows a 17-year old Italian American named Elio Perlman who falls in love to a visiting scholar named Oliver and eventually sparked a romance that changed their lives. The film is a love story, it’s about love in a complex and nuanced manner exhibiting these characters’ emotions sincerely as played out in Elio’s storyline using the ‘coming of age’ narrative mediating his discovery of these emotions, an awakening from his innocence and learning what love is and it builds up that conflict of dilemma and eventually letting go and understanding that meaning of love, that affection towards Oliver. One thing that strikes on the Elio and Oliver romance is that how well-rounded it is: there is passion, affection, intimacy, reluctance, their dynamic is nuanced and layered that beautifully detail that complexity but it is love above all that is portrayed a human as possible that connects to everyone and a capacity to believe in it. 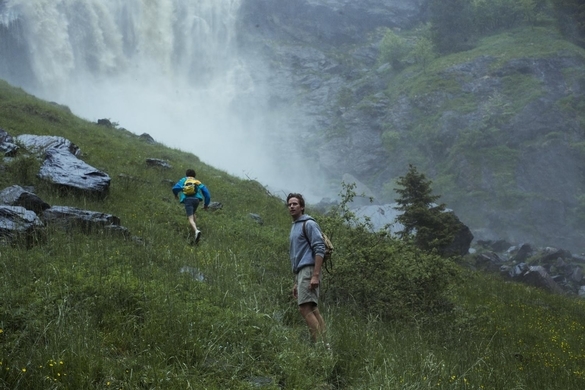 Timothee Chalamet and Armie Hammer’s acting were simply exceptional. Timothee Chalamet displays naivety, vulnerability and fiery passion to Elio, he’s nuanced soulful presence in every scene is one kind of an acting that is rare for a budding actor to project a wide range of his character. Oliver is Armie Hammer’s the best performance of his career; the actor brings a mature, intelligent and youthful charm that made Chalamet’s Elio swoon and the audience would fall in love in his character. 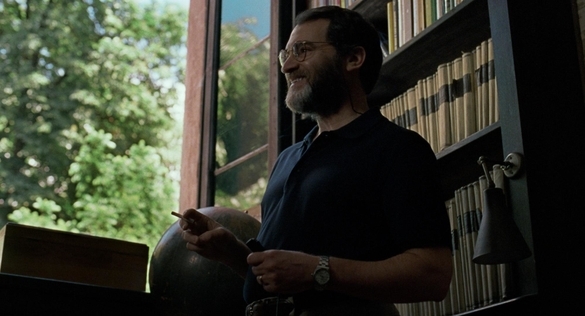 And special mention to Michael Stuhlbarg as Professor Stan Perlman gives his own take as a paternal figure that is familiar and fresh at the same time, Stuhlbarg delivers a warm, compassionate complementing Chalamet’s Elio in a much needed wisdom. Their scenes together show poignant moments, showing a sincere, loving father and son dynamic. Being shot in single 35 mm film camera shows a distinct, Sayombhu Mukdeeprom’s cinematography gives a vintage look and a textured summer colors of North Italian countryside gives a quaint feel of what it’s like to live there, every mis en scene frame resembles an oil pastel artwork, its stillness brings a simplistic yet cinematic that capture every small details from bicycles, books, emotions, river and luscious green landscapes. What makes Call Me By Your Name work is the film adaptation stands in its own, captures the novel’s heart and soul which will also win over of those have read the book; it’s about characters falling in love, a love story that makes you believe it exists at the same time, it is honest and shows the different sides of love; Sufjan Stephen’s songs like “Mystery of Love” and “Visions of Gideon” are reflective of the story, the characters and the film as a whole. Special Thanks to Columbia Pictures Philippines for the invite. Call Me By Your Name opens in January 31, in selected Ayala Malls Cinemas; with special sneak previews on January 22 and 23. Photos courtesy of Columbia Pictures Philippines.